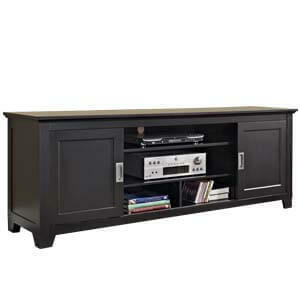 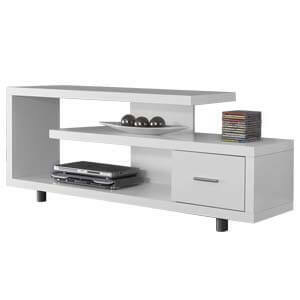 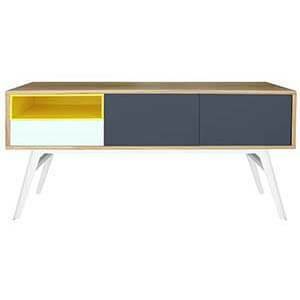 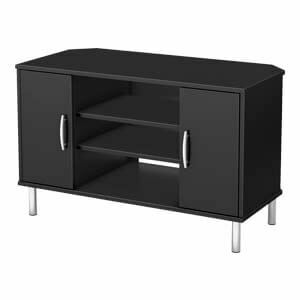 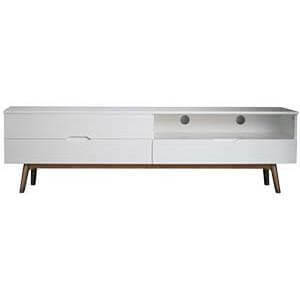 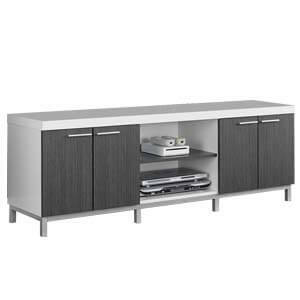 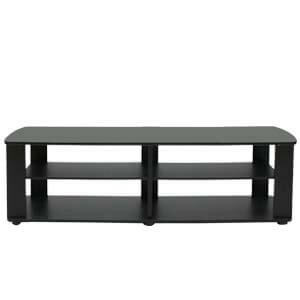 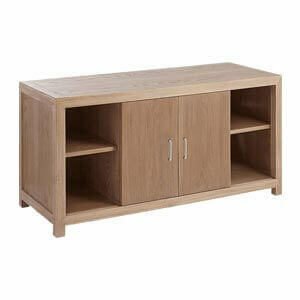 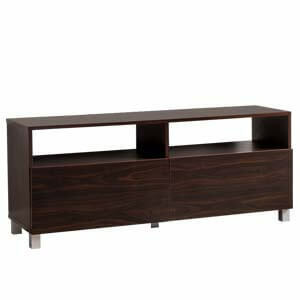 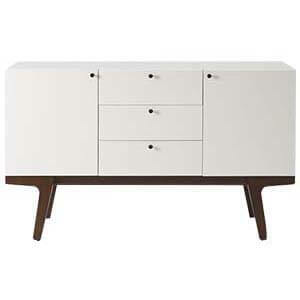 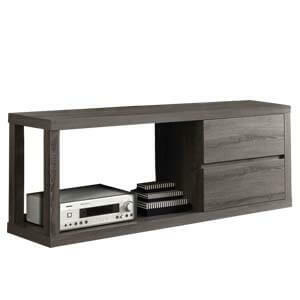 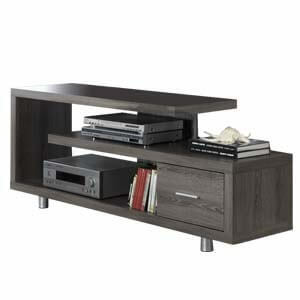 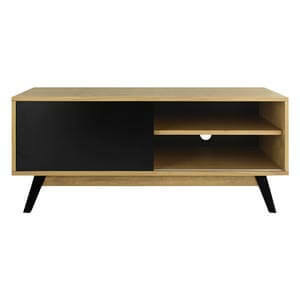 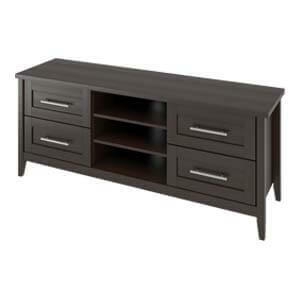 Contemporary styled with a long low profile makes this handmade tv entertainment unit quite special. 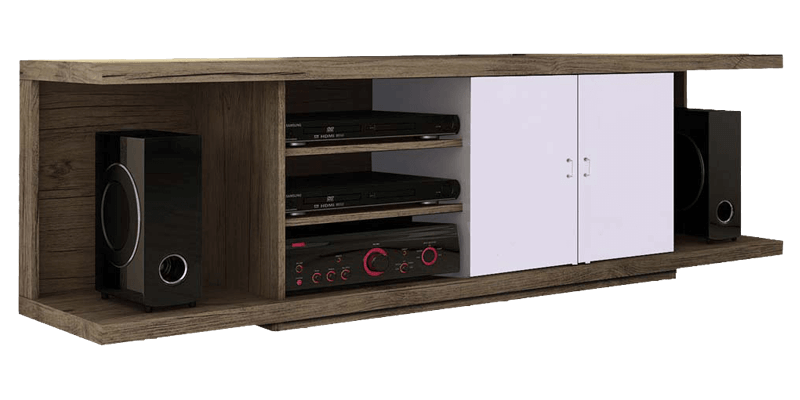 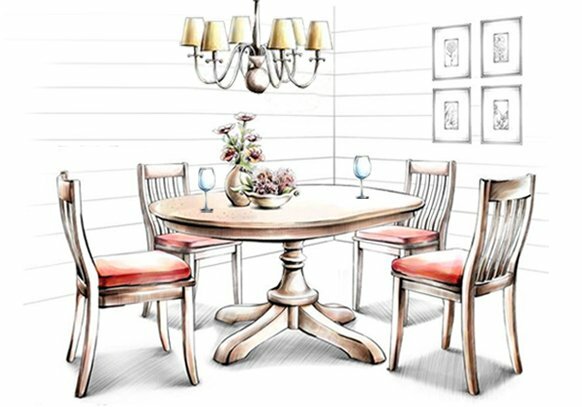 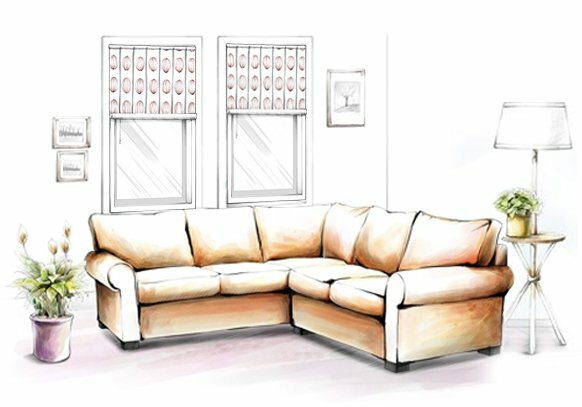 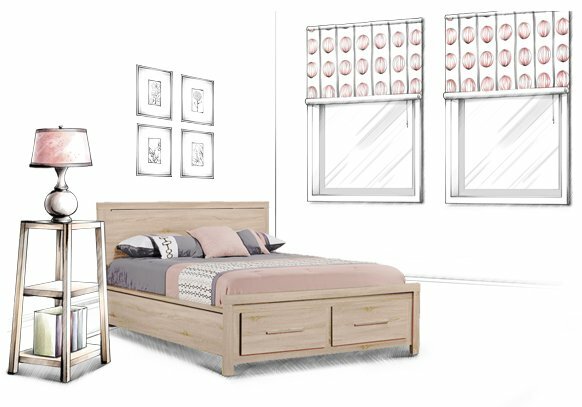 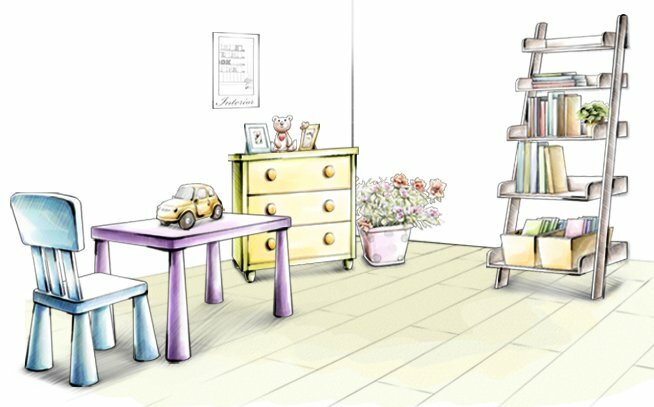 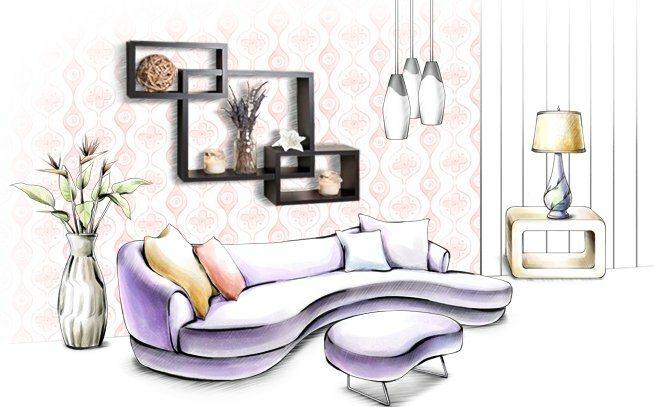 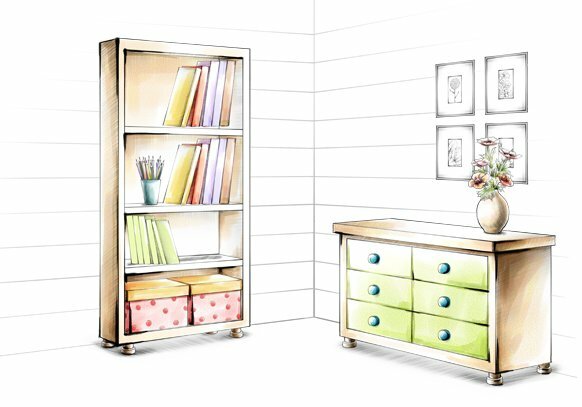 It’s got a thick laminated top with flat edges, five open shelves and an enclosed storage space. 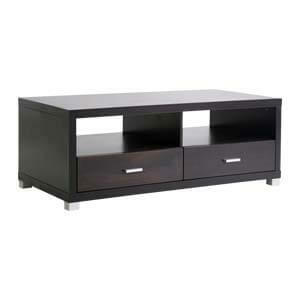 It’s also got fixed box legs that ensure it a sturdy support.